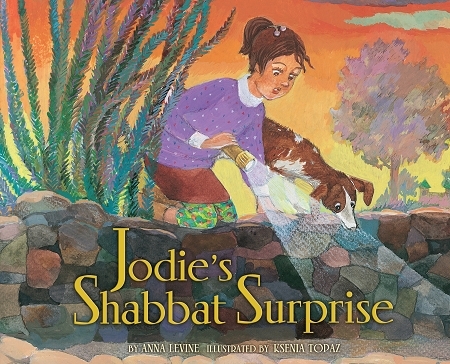 A Shabbat walk leads to a perfect birthday gift for her father in Jodie s latest adventure, Jodie s Shabbat Surprise, the third story in the series by Israeli author Anna Levine featuring Jodie, the amateur girl archaeologist. When Jodie takes Digger out for his Shabbat walk, she thinks about what to get her father for his birthday. While at the park, Digger and Jodie stumble onto a fascinating discovery an old buried wine press. With some help from her family and an archaeologist friend, Jodie turns her discovery into a perfect birthday surprise!
" . . . families looking for secular stories about Israel will appreciate this one."